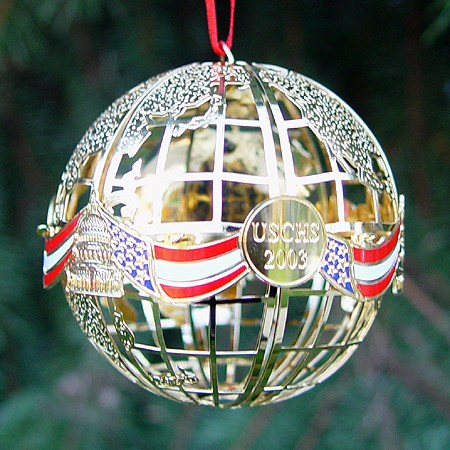 The White House Ornament Collection presents The 2003 Capitol Sphere Ornament. The 2003 Capitol Sphere Ornament displays both our national colors and the dome of the Capitol building, encircled by a handsome golden keepsake. This Christmas Gift Idea would be a proud addition to any Christmas Tree Ornament collection.